I’ve never been very tube oriented, but I have to admit that the glowing bottles are starting to grow on me since the Avant Gardes occupied my listening space along with a range of tube amps. I always thought of tubes as being problematic, sensitive and cumbersome. While some of this is true to some extent, they also tend to perform in certain ways that transistors have trouble matching. 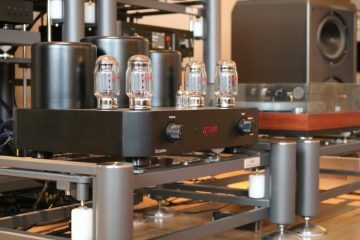 As with all of the tube amps reviewed earlier, I was in the comfortable position of being able to loan the products from tube fanatic and listening buddy Jan Cramer, with no strings attached. 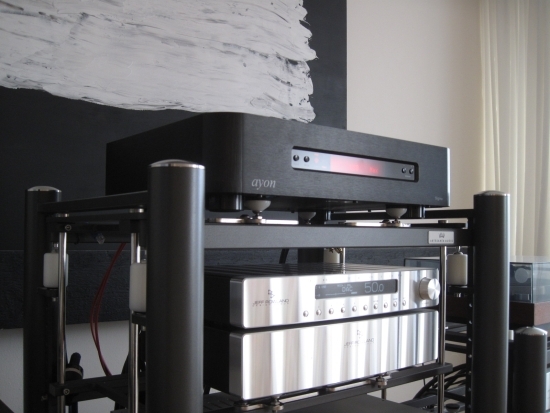 While none of the tube poweramps listened to so far worked very well with the power hungry Apogee Diva magnetostatics, the Ayon Sigma DAC turns out to not only sound very good, but also to beat some solid state DACs that I rate very highly in several areas. 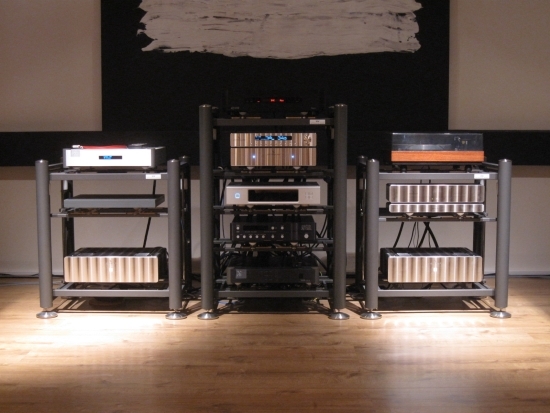 Above: initially the Sigma was listened to using a Jeff Rowland Concerto preamp. The Wadia 25 DAC inbetween was not used, instead the Wadia 521 on the left (not pictured) was used for comparisons. Regular readers will know of my obsession with the solidity of bass, acoustically believable timbre and the airiness of treble. The first has to do with my speakers being full range ribbon dipoles, which need quite a bit of power and since I have so far been unable to find power amps that are more powerful than my Jeff Rowland model sixes while retaining all their virtues, I have been on a quest to maximise the sense of dynamic delivery in my system by all means possible, and as a result this has also confined me to the more powerful and sonorous sounding DACs such as classic Wadias. The need for acoustically believable timbre is another matter that probably ties in with my choice of speakers, ribbons typically having very low coloration and very high transparency, and that is why I prefer source components to bring some character to the table. The latter finally is more of a fetish than a necessity, ribbons typically being capable of superb treble air and my simply also wanting to hear this. Cables used are T T L treated Cardas Hexlink Golden 5C XLR interlinks initially and Cardas Clear XLR later. Both interlinks work very well with the Sigma DAC. Powercable is a Belden with Furutech gold plated connectors and digital interlink is the Mad Scientist Heretical. Above: the Sigma DAC was also returned a second time for another listen session after I purchased the Jeff Rowland Criterion preamp. Many DACs have come and gone, and while also not perfect (which component is?) Wadias have always had a certain synergy with my system, the 521 currently taking permanent residence. 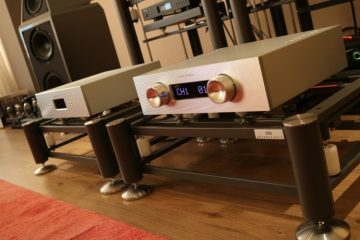 At 4000 euro, the Ayon is relatively affordable, that is, if you are used to typical classic Wadia/dCS kind of price tags. For me anyway it is amazing that this much technical perfection in such a smart well built encolosure can be obtained at such a price. Let me sum it up. Inputs: 1x Coax S/PDIF, 1x AES/EBU, 1x TosLink, 1x BNC, 1x USB (DSD compatible), 1x I2S, 1x DoP and 3x BNC for DSD. Outputs are both single ended cinch as well as balanced XLR. There’s an internal hardware PCM upsampler for CD sources to 24/192K which can be disabled, a Class A 6H30 triode tube output stage, tube rectifiers, 0dB negative feedback, DSD 5.6 128x capability, full function remote control and did I mention that large and super sturdy enclosure? 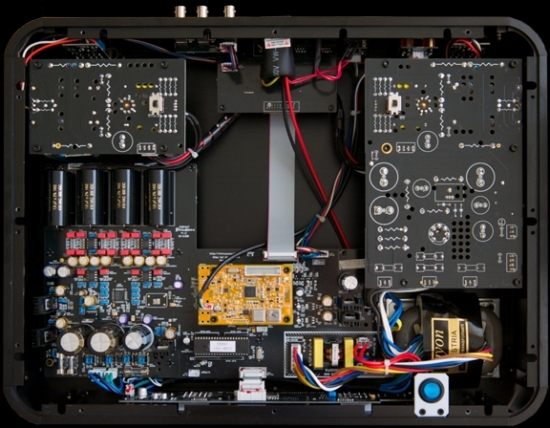 The DAC has many more options such as variable volume that can be set to fixed, along with 2 gain settings, as well as a special gain reduction setting for lowering the tube output, and along with this their hiss, when connecting directly to very sensitive power amplifiers or using very sensitive speakers. In my implementation (via Jeff Rowland Concerto preamp) I never heard any noise. Gain was set to the same level as the Wadia, which is one step down from the maximum. The Sigma can output a whopping 10 volts if required! 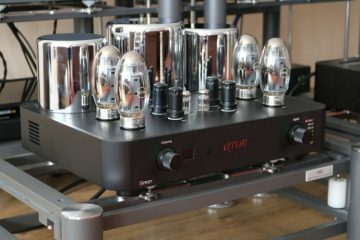 The Ayon Sigma sounds convincingly realistic, with really excellent bass not only for a tube device but in a general sense (albeit not the Wadia kind), a glorious and inviting midrange, impressive transparency and airy treble second to none. Soundstaging is deep and well-layered, and especially vocals occupy their own 3D space with lots of air surrounding them in a fascinating manner. 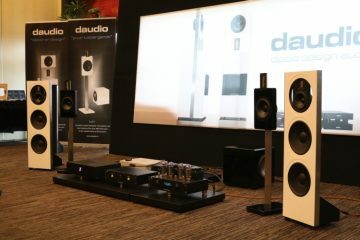 Singers really stand in front of the speakers in a very well-defined yet wholly natural manner and sound more convincingly real than I have heard from any other DAC so far. While the Ayon’s bass may not be as solid as the Wadia 521’s, it is also definitely not of the wooly or ill-defined kind and nicely fast and rhythmic, and I would consider it to be in line with many other solid state DACs. Tick-tick-tick… that’s the sound of the list of my preferences being ticked. The one remaining area where I find the Wadia to be better, and not necessarily only in relation to my specific personal wish list, is its timbre. 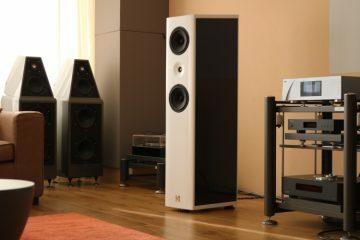 Although I can understand that some people will find the Wadia midbass/lower midrange to be coloured, I find that it provides a very believable portrayal of acoustic instruments, by joining the deep bass to the midrange in a continuous fashion. It is this area where I find the Ayon to stay slightly behind. Its midbass is well articulated, but a tiny bit thin and in my opinion could do with a smidgeon more body. 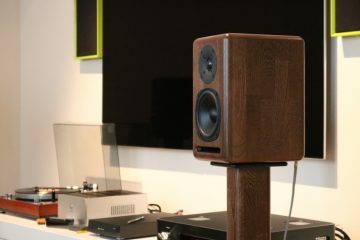 I hasten to add that this effect is very subtle, and may not be meaningful in setups with dynamic speakers. 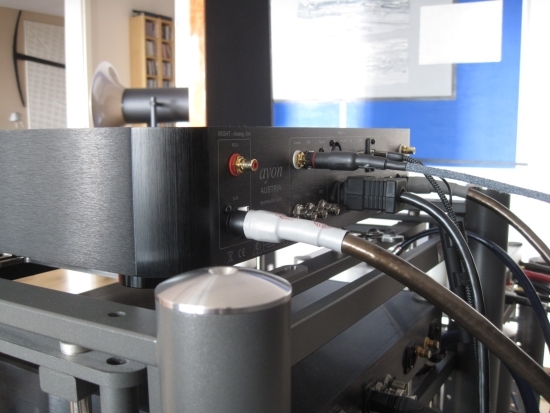 Also, the DAC’s incredibly lifelike and involving midrange makes it very hard to focus on such technicalities. 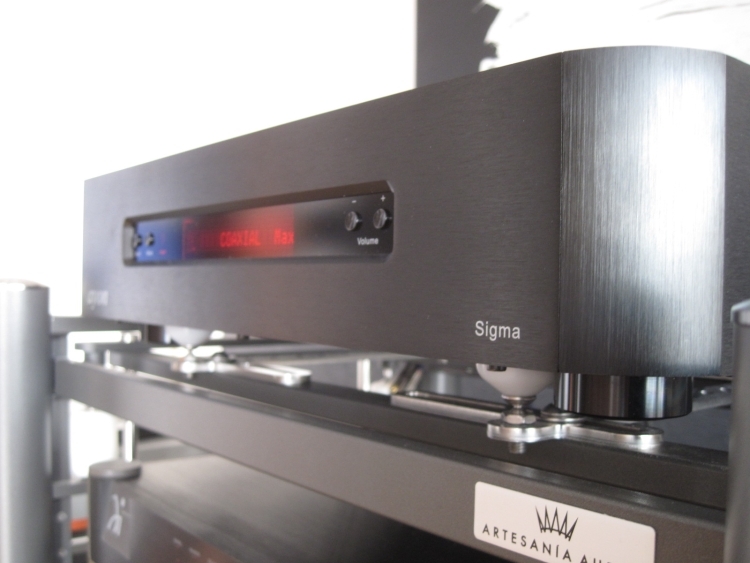 The beauty of the Ayon Sigma is that it presents music so naturally that you soon forget to assess the sound and start enjoying it. This is a quality that I’m more and more convinced is an inherent quality of tubes, and something that tubes seem to do quite effortlessly. Filter 1 was used and upsampling was disabled. With Filter 2 the sound becomes a little tighter but also less “free-flowing”. Upsampling provides an even more airy and subtle sound, but the DAC really is not in need of further tweaking in these areas, and upsampling also makes the bass less solid, so for me the best option was to leave it off. 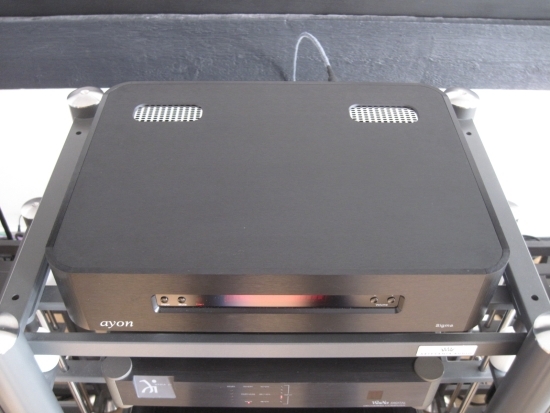 The Ayon’s USB input sounds great, and no, that is not a given. 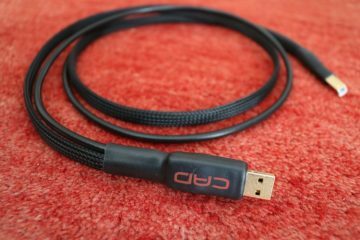 I’ve heard bad USB implementations on more than a few occasions, where the SP/DIF inputs sound musical (but maybe not technically perfect) and USB sounds technically perfect but not musically meaningful. For example this can occur when the USB input in reality is nothing more than a USB-SP/DIF converter rather than a circuit that extracts I2s to feed to the downstream components. Switching to USB the first time can be disconcerting though. There is a very loud and high-pitched tone/hiss that can last for many seconds while the DAC does the handshaking with the digital source. In my case this occurred with all three Music Servers that I had available. What’s more, the USB input seems to be disconnected each time a different input is chosen, and not all music servers are happy with that. If I understand the manual correctly, this is done to maximise sound quality, and ultimately there is no issue as long as USB is continuously selected. One thing that must be taken into consideration is the Sigma’s need to warm up. Sure it will sound great right after switching it on, but you won’t hear the true extent of its soundtaging capabilities and it can sound a little thin and technical at start, compared to what it sounds like 30 minutes later that is. The Ayon Sigma sounds convincingly realistic, with excellent bass, a glorious and inviting midrange, impressive transparency and superbly airy treble. Soundstaging is deep and well-layered, and especially vocals occupy their own 3D space and sound extremely realistic. The beauty of the Ayon Sigma is that it presents music so naturally and convincingly that within minutes you forget to assess the sound and are just enjoying the music. Mind you it’s not a matter of so-so audiophile qualities coupled to a harmonic and musical presentation: when judged purely on a technical level this is also a superb DAC. 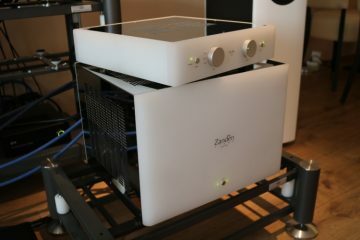 Let’s cut to the chase: I like it so much that it deserves a very high position on my shortlist of favorite DACs. Highly recommended! I would assume that the DAC sections of the Sigma and CD1 SX might be more similar than different but as I have not yet heard any integrated Ayon players, I cannot make any definitive comments. 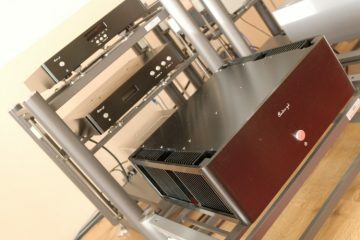 As for your other question: knowing the Accuphase sound and becoming more and more familiar with the Ayon sound, I would say that these two brands have very different characters when it comes to digital components. 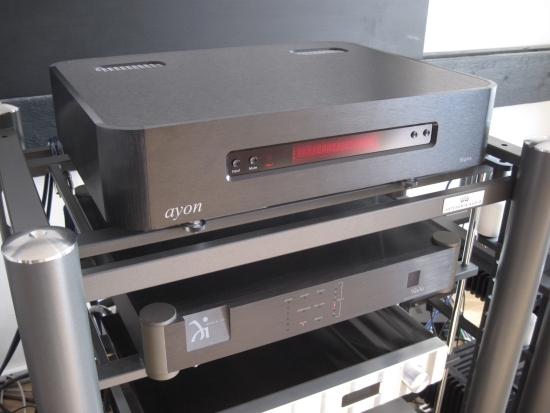 Ayon tends to sound bold, dynamic and colourful while the Accuphase players and DACs I heard are more refined, less outgoing and pastel-like in tonality. And with less out going you also mean soundstaging? Can you say the a ML390s has more similarities with the Ayon then Accuphase? By outgoing I mean enthusiastic, dynamic, lively. 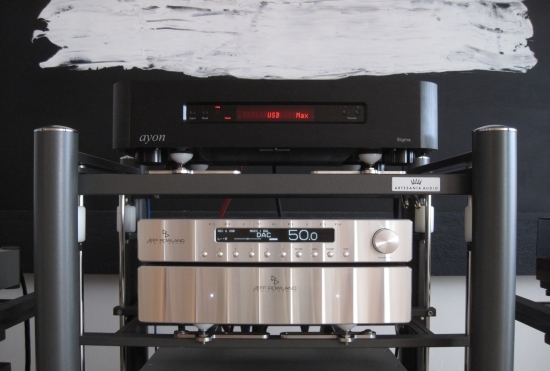 Indeed Ayon is closer to the classic Levinsons than the Accuphase DP410 is.